I still remember the balloons and the fireworks. “Congratulations! You have been accepted into the University of Georgia,” the screen read. Senior year was winding down and I lived each day more carefree than the last. But weeks later, when I carefully looked again, realized that I had been accepted for spring semester admission, meaning that I couldn’t come to school in the fall like I had originally planned. I scrolled up and down the screen hoping that my eyes were deceiving me. My jaw tightened and hands clenched. I couldn’t fathom why UGA, my number one choice, would do this to anyone. I was a top 15 student at my high school with good SAT scores. To this day, I still cannot wrap my head around my spring semester admission. After the anger and sadness subsided, I had a decision to make. What was I going to do the next few months instead of taking classes? I had already outgrown my hometown and knew that staying home with my parents was not an option. I wanted the college opportunity just like everyone else. I yearned to venture away from home, meet new people and to pursue my dreams of a journalism degree, so I looked at my other options. I thought about the other choices on my list and decided that I would attend Georgia Southern for a semester. I knew that I didn’t want to go too far away from home because I planned to leave after a semester anyway. Plenty of my friends from high schools would be attending in the fall. It was a safe choice. At first I viewed attending Southern as a cruel punishment, but it exceeded all my expectations. During my time down at Georgia Southern, I had a blast. College life said a loud “hello” and introduced itself, and I made plenty of new friends. I even got involved with a program called Pathways that allowed me to move in early and meet and network with 75 other students just like myself. My first semester went smoothly largely because of the Pathways program. The program made a concerted effort to help us adjust to college through different workshops, allowing us to receive mentorship from older students and even to meet faculty and staff. Add to it the fact that my best friend was there with me, which made the transition even smoother. Everything was going well, but as the semester wound down, I felt myself becoming stressed again by another decision. Should I stay, or should I go back to the dream school that rejected me and felt I wasn’t good enough to attend the first semester like the rest of my peers? It was a decision that was tough and haunted me daily. 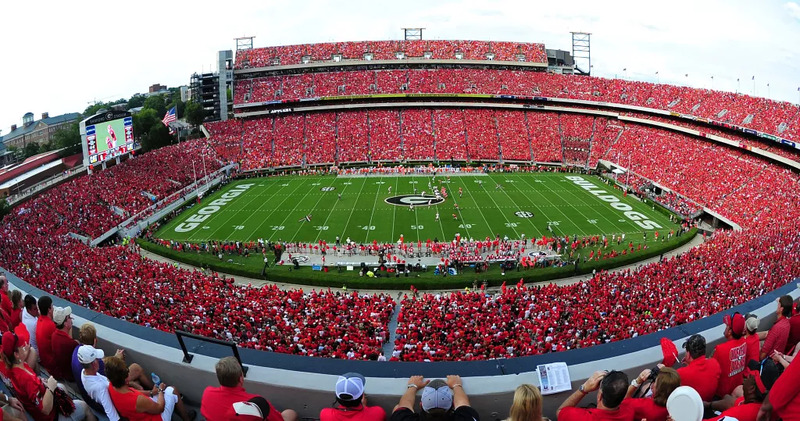 No matter how much fun I would have at Southern, I would always think about UGA. I spoke to my family and friends about the decision weighing over me. Should I make the easy choice and stay comfortable in Statesboro, or restart in Athens where I still felt like they didn’t really want me? I struggled with my decision, but finally I came to grips with what I wanted and decided that I would leave Southern to attend UGA. After I made my decision things began to fall into place tremendously. I came to UGA in the spring semester and made friends quickly. As a matter of fact, I wasn’t the only one who was accepted into spring semester admission. Some close friends of mine, including my best buddy, were in the same boat. It almost seemed destined for our roads to diverge. I can’t call my college experience at Georgia Southern anything less than great. But at the same time, I have to call my experience at UGA extraordinary. Since arriving on campus I have started my own organization with two other students, served on E-boards, pledged to a fraternity and pursued an internship. To this day, I don’t know why I had to wait a semester to attend the school of my dreams. Even though I wished the extremely imperfect scenario didn’t happen, I now accept the situation for what it is and realize that both institutions have taught me lessons and molded me into who I am today.